Spotless Cleaning Solutions is able to provide residents and businesses in SutherlandShire with relief from flood damage. By using state of the art technology and materials, we will extract the water from your carpet or rug, and then dry and clean the area thoroughly. When buildings flood, debris can get washed inside and cause damage and stains on your floors. There is no need to worry however, because our team of highly trained experts will be able to rid your carpet of any unsightly stains. Water damage can also encourage the growth of mould or fungus, both of which can cause irritation or contribute to a range of illnesses. That is why we also thoroughly sanitise and deodorise your carpets to eliminate all traces of these bacteria. Floods in SutherlandShire can cause significant damage to your property. That is why, as well as helping restore your property to its former pristine condition, we will also take care to use the best practices available to guarantee the protection of your family or employees. We will remove any dangerous or contaminated materials safely and efficiently. Our water extraction techniques are thorough enough to prevent any secondary damage from occurring. You can rest assured that once our team of highly qualified technicians has finished, your home or office will look better than ever before. Floods can occur without warning in SutherlandShire, causing significant damage to properties and businesses in the area. We know how stressful it can be to wake up to find your home or office has been flooded. We also know how difficult it can be to find a reliable cleaning service to deal swiftly with any damage that has occurred. That is why Spotless Cleaning Solutions stands out from the crowd. 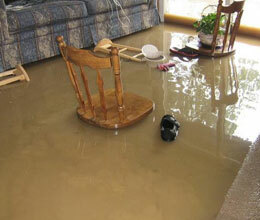 We provide emergency services for flood damage in SutherlandShire 24 hours a day, 7 days a week. Whether it is a public holiday, or the middle of the night, we will arrive as quickly as possible (often in less than an hour) and work swiftly and efficiently to deal with any damage that has occurred.